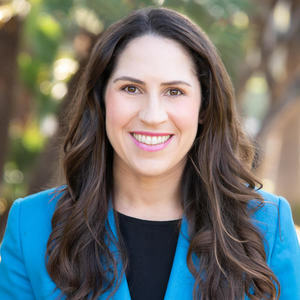 Born and raised in Santa Monica, now a long time resident of Manhattan Beach, Jenny represents the fourth generation of her family’s involvement in the real estate industry. Jenny’s great grandfather was a well-known real estate developer in Wisconsin. Her grandparents and parents were also real estate investors, owning rental property throughout Colorado (notably Telluride) and L.A.’s most popular beach communities, Venice and Santa Monica. Jenny specializes in serving young professional clients in the tech, sports, fashion and entertainment industries. She enjoys working efficiently and listening to her client’s wants and needs; to help them achieve whatever they may be looking for whether it be buying, selling, leasing or investing. She applies her well-rounded business savvy to negotiating the best deals for her clients. Jenny has been a Top Producing agent for the past 5 consecutive years. In 2014, she received the honor of being named her office’s Youngest Top Producer Award. In her spare time, Jenny enjoys spending time with her husband, toddler and baby girl, and walking her dogs on the strand in Manhattan Beach. She also actively donates her time to her beloved Alma Mater- the University of Colorado at Boulder. Go Buffs!